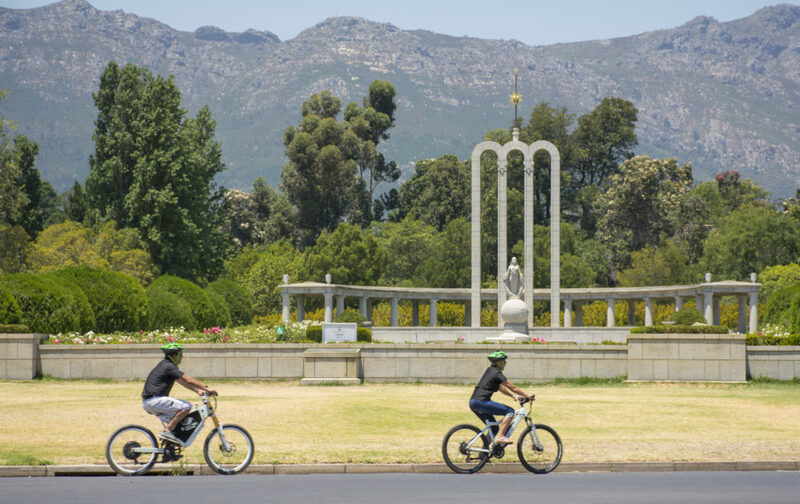 We love to head out from the Cape city and bask in the historic vineyards of Stellenbosch. 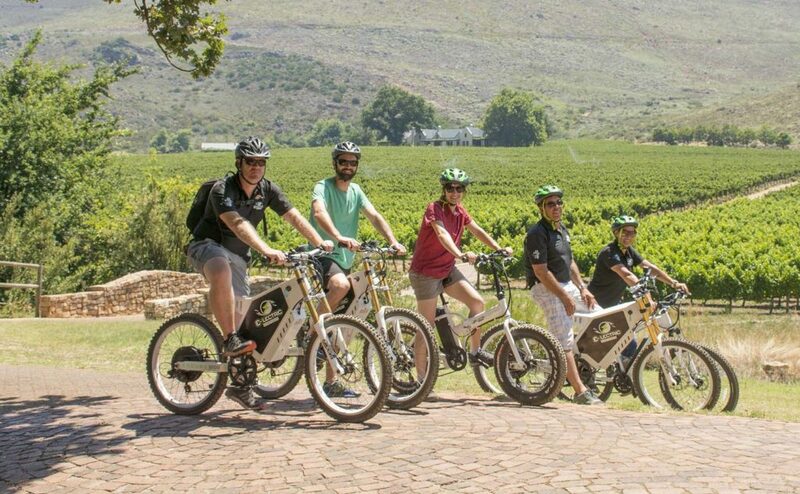 Our local and international guests seem to love the wineland tours. Leaving your guesthouse at around 09H00, we head north towards the bustling university town of Stellenbosch. This is the second oldest town in South Africa, and the architecture reflects that. We ride through the old town, aptly nicknamed the Eikestad (Oak Town) due to its tree lined avenues. Feeling quite at home, as it’s a town of cyclists, we find a place to stop and walk around a little. 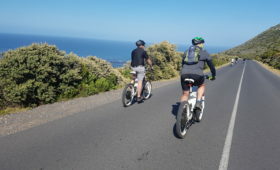 The ride continues on a loop south to the Waterford Wine estate where we stop for their legendary Wine and chocolate pairing. 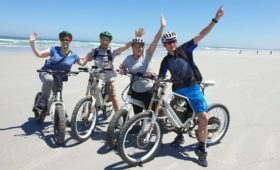 (20km) Beautifully located at the head of the Blaauwklippen valley, our ebikes take the strain off as we glide effortlessly . The scenery is magnificent along the gravel road. 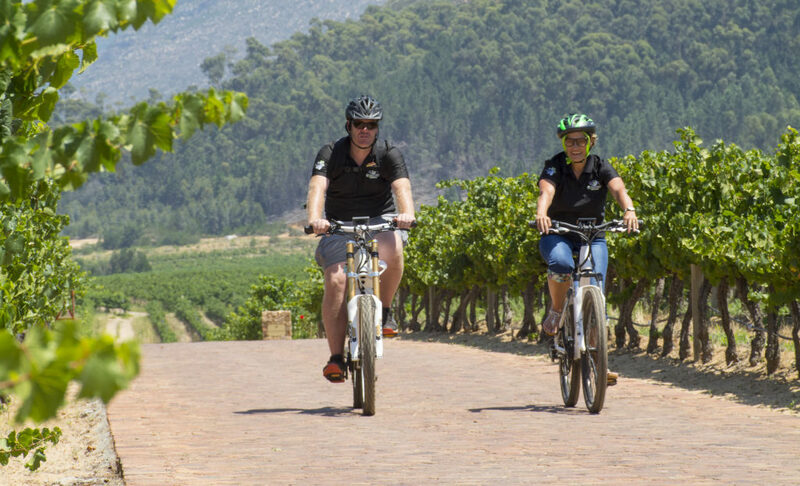 Next is a short 10 km ride to the old Rust en Vrede Estate to taste their award winning wines. We also enjoy the famous two option lunch on the estate after the tasting. 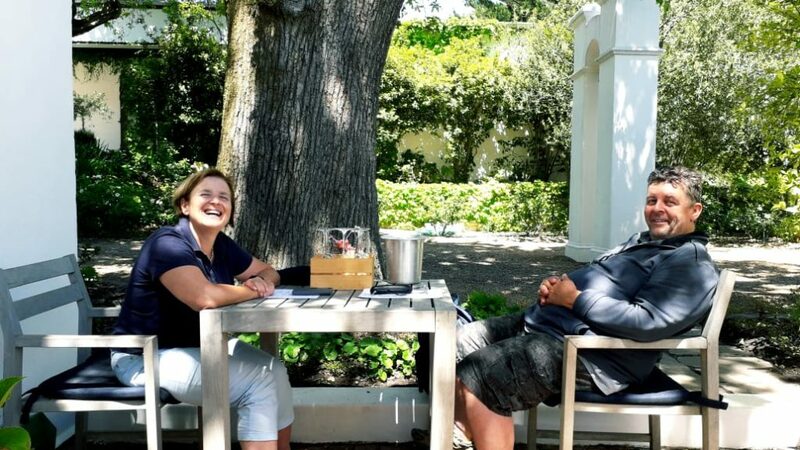 The Rust en Vrede luncheon is world renowned for its elegant simplicity that is designed to show their great wines. After Lunch we head up the hill to the estate of the well-known golfer Ernie Els. His winemaker has put the estate on the map as a one of the best red wine producers in the region. 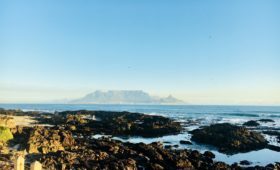 The views from Ernie Els are some of the best in the Cape and we like to take our time savouring this special moment. After the tasting we are met by our vehicle that will transport ourselves and the bikes back to the guest house, unless we have the energy ( both human and battery) to return by bike by about 16h30.